Have you gotten a parking ticket recently? How about one of your friends? How about…all of your friends? Early yesterday, the Stallion’s chief investigative journalist discovered a scorching scandal within the ranks of UCF Parking Services. According to his report, UCF has been offering its Parking Services employees MASSIVE KICKBACKS on parking tickets since Fall 2017. After a long day of giving fallible advice, the Parking Services Team heads out at night to collect their earnings. These employees, calling themselves the Head Parking Vigilantes (HPV), regularly treat the outings as a competition. 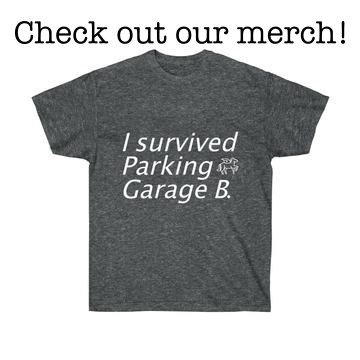 The person who finds the most illegally parked cars is crowned the HPV champion, earning a plaque with their picture and the text “Best HPV” hung outside of Garage B. Our executive UCF Parking Services informant, whom we refer to as Parker McParkface, ticketed us in that Parking Services, having spent most of their budget on removing parking spots and ordering custom-made plaques, was running low on funds. “We knew if we wanted to keep making parking more difficult for our students, we would need to bring in more revenue. Incentivizing our employees to issue more parking tickets was the solution the higher-ups came up with,” McParkface said. This is a developing story. Tune in later today for another update. How deep does this rabbit hole go? Well, last week, the UCF Police Department tweeted that members of the HPV squad are “community heroes.” Deeper than that, it is rumored that Papa C. Hitt himself has been out with his friends doing some car hunting of his own. If even the President of the University is on the payroll, who is in control of this wave of HPV? How much more is there to this parking corruption ring? The answer could be…a lot.